There are two spray strategies for controlling the diseases i.e. preventive and curative. Since this disease is a polycyclic, the spray schedule should focus on reduction of inoculum and protective covering before the infection takes place based on the predictive models developed at RHRTS Mashobra. Among two different monitored spray strategies (curative and eradicative) as developed and tried in the orchards, the curative sprays with well timed application of Ergosterol-biosynthesis-inhibiting (EBI) fungicides even after 72 and 96 hour of the predicted infection periods is not only more effective but also economical for control the disease with three lesser sprays. The monitored spray programme developed for Indian conditions at Regional Horticultural Research and Training Station, Mashobra, Shimla for the control of spring and summer scab conditions is described below. 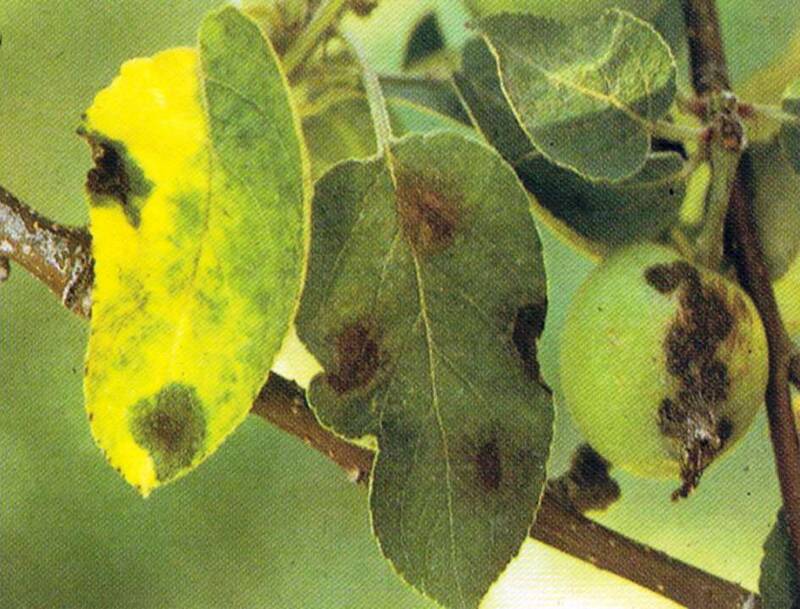 This strategy is recommended to orchard areas where scab is present. At green tip stage if scab during last three years was present and temperature after rains remained above 10oC. The spray strategy to control primary scab must include high residue fungicides for better protective action for longer duration. The strong bio-efficacy of dodine, mancozeb, dithianon, and captan is established on apple parts. The residues of these fungicides are persistent, stable and re-distributive on the foliage and remain effective against primary infection up to 36 days. Hence recommended at green tip stage as first spray under monitored control program in Himachal Pradesh. Second spray at pink bud stage is recommended to give protective coverage on plant parts to control primary scab infection during the long flowering session. However, according to monitored spray strategy, this spray is considered to be optional and should be given only if first spray is not given or continuous wet conditions prevailed after the first spray. The fungicides recommended at this stage are both protective as well as curative. However, it is also observed that at high altitude locations (above 6500 ft) where primary infection generally initiates after pink bud stage the first spray at green tip stage is inappropriate. Benzimidazole and EBI fungicides having protective/ curative and broad-spectrum mode of action is recommended for such locations at pink bud stage (as first spray) to control invisible infection caused by apple scab, canker fungi, powdery mildew, core rot and leaf blotch. However, the sensitive flowering stage is avoided for any spray as might obstruct the cross-pollination process. In addition to its anti-fungal properties it also help in improving fruit set and can be used safely during bloom. Third spray at petal fall stage is very essential to protect the newly emerged fruit-lets against primary scab and powdery mildew infections. Moreover, the earlier sprays given either through first spray or at pink bud stage are found ineffective all through the long flowering period of apple. The brands of benzimidazole and EBI are recommended at this stage also having both protective curative and anti-sporulant actions. This group of fungicides is effective to other summer diseases as well and also acts as anti-senescent and increased fruit set. At fruit development stage the actual monitored spray strategy implies where curative fungicide sprays are recommended after the infection period instead of routine sprays. There are three options of sprays and type of fungicides use according to the prevailing weather and scab conditions in the orchards. Most effective option of curative (EBI) fungicides is to kill the fungus in host tissues after the infection has occurred. However, the fruit development sprays can be extended for longer duration or discontinue in case there is no visible scab on leaves and fruits out of primary infection. This can also be ascertained by the overall scab records in the last three years and no primary symptoms have appeared till date in the current period. Dormant sprays of 5 per cent urea a foliar nitrogenous fertilizer at leaves shedding stage and followed by a spray of Bordeaux mixture (1%) are most effective IDM strategy used to eradicate the most overwintering pathogen/diseases on apples. In coming posts I shall be discussing about the cankers. The primary inoculum of the disease resides in the infected leaves fallen on the orchard floor. These lesions develop into pseudothecia that further develop ascospores that got released in coming spring season and cause primary infection. To reduce the primary infection primary inoculums should be reduced. 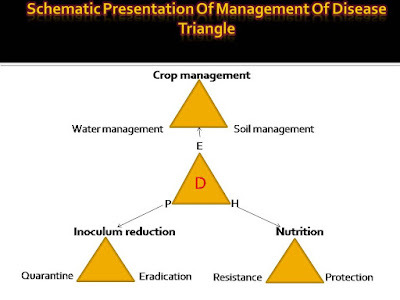 Thus phytosanitation plays an important role in reducing the primary inoculum. During Oct Nov when 80 per cent leaves have fallen the leaves either should be collected with the help of rake or should be sprayed with 5 percent urea solution. The spray should be directed on orchard floor rather than on the trees. As the nitrogen concentration of 5 percent is required to decompose the fallen leaves that is containing the scab infection and harbouring the fungus for the development of pseudothecia. Since it will decompose faster than the pseudothecia development thereby reducing the primary inoculum of the disease. The disease development requires leaf wetness. The wetness is always affected by relative humidity. Means more the relative humidity slower will be the drying time thus increasing the leaf wetness period. Longer will be the leaf wetness period more severe disease will appear in the orchard. This situation warrants for better sun penetration and air circulation. If we avoid dense canopy and follow proper training and pruning practices we can improve the air circulation and light penetration thereby reducing the chances of scab to appear in the orchard. 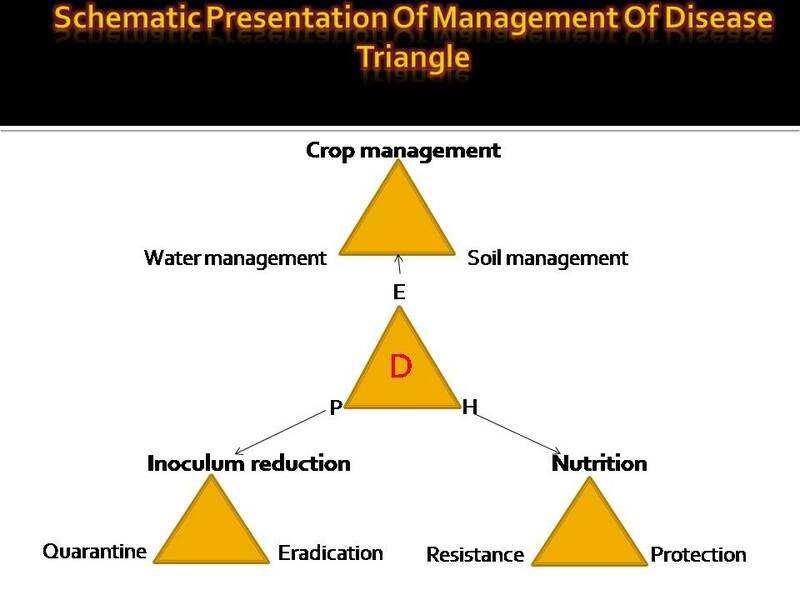 There are two different strategies (curative and eradicative) for monitored sprays, the curative sprays with well timed application of Ergosterol-biosynthesis-inhibiting (EBI) fungicides even after 72 and 96 hour of the predicted infection periods is not only more effective but also economical for control the disease with three lesser sprays.